Siobhan performed as a professional actress for over twenty years, which included two years at the Royal Shakespeare Company, productions at the Royal Court and Shakespeare’s Globe. She performed in many Katie Mitchell productions and in three series of the BAFTA winning children’s drama Maid Marion and Her Merry Men (Rotten Rose) and has also performed in most British television soaps. Siobhan left acting to concentrate on writing, directing and producing short films and documentaries. Her first screenplay, Monica Ol’e, was the winner of the Women in Film & Television & Avalon Productions Screen-Writing Award and was made into a feature film. She went on to write numerous episodes of the CBBC animation series Boo and the BAFTA-winning BBC series The Chuckle Brothers. Siobhan has directed plays nationally and internationally for well-known theatre schools and companies and now works full time as Head of Creative Arts at Sackville school, Hildenborough, Kent. Her plays and schemes of work are regularly published by Educational Publishers. James trained at LAMDA and has worked for over 30 years as an actor and director, all over the world. He’s worked with the Royal Shakespeare Company, The Royal National Theatre and played over 1000 performances as, ‘Scar’ in, Disney’s, ‘The Lion King’ at the Lyceum. He was in The Woman in Black and worked for Sir Trevor Nunn in Hamlet, The Wars of the Roses, The Tempest and Rosencrantz and Guildenstern Are Dead in the West End. He was nominated Best Actor in the 2012 MTA awards for his performance as, Elyot in Private Lives. He has made countless TV appearances including Trial and Retribution, Rumpole and Eastenders. Films include Les Miserables, Henry V and The Whistleblower with Michael Caine. He has taught and led workshops all over the world and is acting tutor at the Royal Academy of Music. Last year over 80% of his students taking LAMDA exams received the ‘Distinction’ grade. James is based in Tunbridge Wells and willing to travel within a 30 mile radius. Please submit your details (for our database) to receive James email. Richard studied Drama and Russian at Birmingham University. His theatre credits include: Sleuth, Moonlight and Magnolias (Watermill, Newbury) The Way of the World (Sheffield Crucible), Arthur & George (Birmingham Rep), Calendar Girls (Noel Coward Theatre), Macbeth (Shakespeare’s Globe). He has toured extensively with many companies including Shared Experience, Method and Madness (Mike Alfred’s), Bath Theatre Royal and the English Shakespeare Company and has worked in rep at York, Chester and Exeter. TV and film includes: My Mad Fat Diary, Count Arthur Strong, Silent Witness, Party Animals, Filth-The Mary Whitehouse Story, Longford, Dunkirk, Midsomer Murders, the Bill, Ultimate Force, My Week with Marilyn, Topsy-Turvy, Burnt and Mrs Brown’s Boys D’Movie. On radio, Richard plays Kenton in The Archers. Rachel trained in Musical Theatre at The B.R.I.T School, and completed her ISTD Dance training in Tap, Ballet and Jazz. 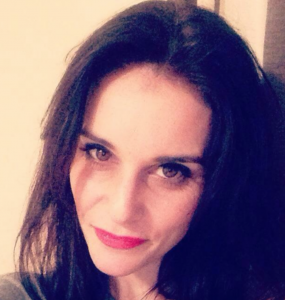 She has worked with Frantic Assembly ‘Terminus’ and numerous Theatre in Education companies. Rachel is currently working with secondary school age children doing LAMDA acting and Musical theatre exams; she has a 100% pass rate. Having recently completed a Psychology degree, Rachel has also taken her passion for the performing arts to Sri Lanka, working with children and adults to help them using Drama Therapy. Rachel’s experience includes roles from Roxie in Chicago, Ado Annie in Oklahoma, Nora in A Dolls House, Cecily in The Importance of being Earnest.